This shirt looks lovely on, but there are some slight issues. 1. You need to size down. It's very large, especially at the waist, where it gathers into an elastic 'balloon bottom'. However, if you're broad shouldered like me, this could be a problem. Plenty of room in the bust though which is great as it hangs well on both smaller and larger breasts. 2. The material is VERY creape-y. This is usually not a problem for cooler climates, but in warmer ones is doesn't breathe very well so definitely keep it in mind. 3. 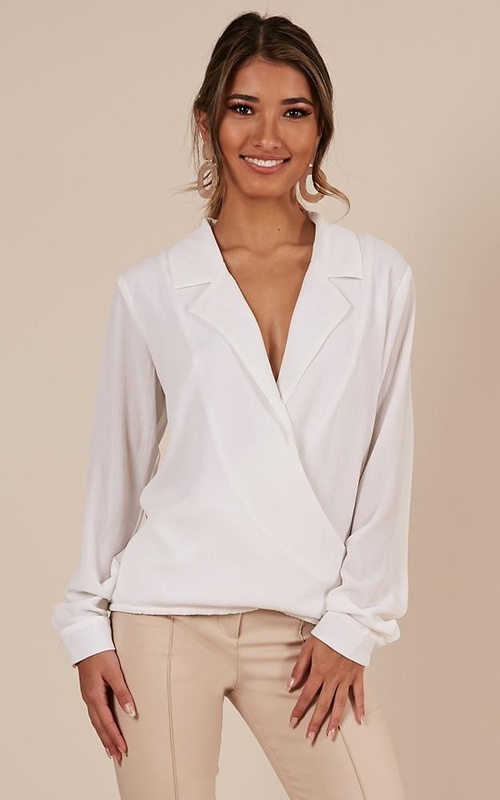 The bottom edge, in the afore-mentioned gathered elastic style doesn't hang very well, and doesn't look seamless as you would hope for in a corporate style top. However, if you plan to keep it tucked in then you shouldn't have a problem. Just not as versatile as I had hoped.